Great detail and condition, matched pair. We accept payment via Mastercard, Visa, Discover and American Express via PAYPAL. You can also mail a money or check to us. 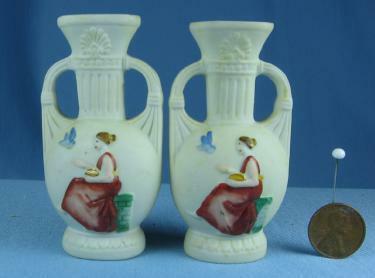 Items Similar To "Mini Miniature Bisque Vases - Lively Lady in Gown - Vintage Porc..."